Rebel10 wrote: Compete for what? Conference Championships? National Championships? Top 25 rankings? that's just a few years away! Compete for championships! My favorite organizational goal. We just checked this box via the aac tournament. Mission accomplished. Hint: The only way we don’t compete for championships is by getting sanctioned. Avoid that scenario and you are all good in SMU land. mtrout wrote: Compete for championships! My favorite organizational goal. We just checked this box via the aac tournament. Mission accomplished. Technically you are correct in that we at least had an opportunity to compete for a national championship in basketball, something we might never be able to do again in football. The goal for this basketball program has to be to put together a strong enough team that we can realistically compete for AAC Championships. Houston got this year's regular season and Cincy the tourney and auto bid. While it was nice to have a team that swept both, I will be pleased if we can get back to winning either/or in the not too distant future. Rebel10 wrote: You can’t have all lower end top 250 players (like 230 to t250) and compete for a national championship and it would tough in the AAC. Top 150 players help get you to that next level. And I don’t think Jank is even trying to recruit top 150 or 100 players. Remember you stated that you heard him say that his recruiting philosophy is to recruit under recited players with no P5 offers which generally are not top 150 or 100 players. So you need at least a quarter to a third of the roster to be Top 150 to 200 players imo. If you look at the rankings I believe SoCal posted we are not in the top 3 in AAC recruiting rankings. 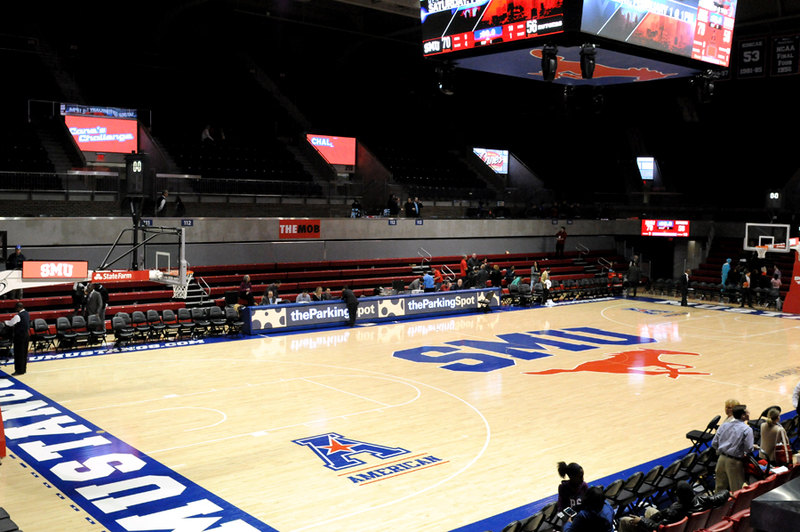 So that means the top teams in the AAC are out recruiting SMU. Anytime analysis is done the other teams recruiting needs to be taken into account. I know you are trying to make the case for the jc kid that did not have many offers to continue to defend Jank while the other 2 players coming in are past 350 in rankings. You also stated in earlier posts that if the team did not make it to the NCAA tournament that Jank would be replaced. Looks like you were wrong about that one as well. I'm not defending Jank at all. I think I've been clear that I won't be renewing for next season and I expected Jank to be replaced if we didn't make the NCAA tourney. And I clearly point out above that we are way behind the number of quality recruits necessary to compete. Same. Are we sure Jank is staying? I just really find this hard to believe. mustangxc wrote: I don't have a problem with the article. The writer is merely reporting the fact that someone really hates Jankovich and came up with a game and started a parody account to mock Jankovich. Those are the facts. It is also true that two years ago we were headed to the NCAA tournament and have been mediocre to bad ever since. I suppose the writer could have added a tidbit about our atrocious recruiting for more balance but as he said, time will tell what happens. He goes after one account when there have been several accounts particularly parody ones that are just laying into Hart and Excusavich. I guess it’s easier to attack one than many. Yes, Jank is staying. CBS Sports and the folks at Scout/247 confirmed this. Moody is gonna be real empty next season. I think it will take longer for the crowds to die off than some here think. It will not be a quick death but a slow one over 2-3 seasons. Ummm, they already started disappearing this season. Next season will be worse. There were several games where Moody barely had 2,500 butts in seats. Arkpony wrote: I think it will take longer for the crowds to die off than some here think. It will not be a quick death but a slow one over 2-3 seasons. Can the team play five on five in practice next year? tristatecoog wrote: Can the team play five on five in practice next year? Stay tuned for Excusavitch 2020!